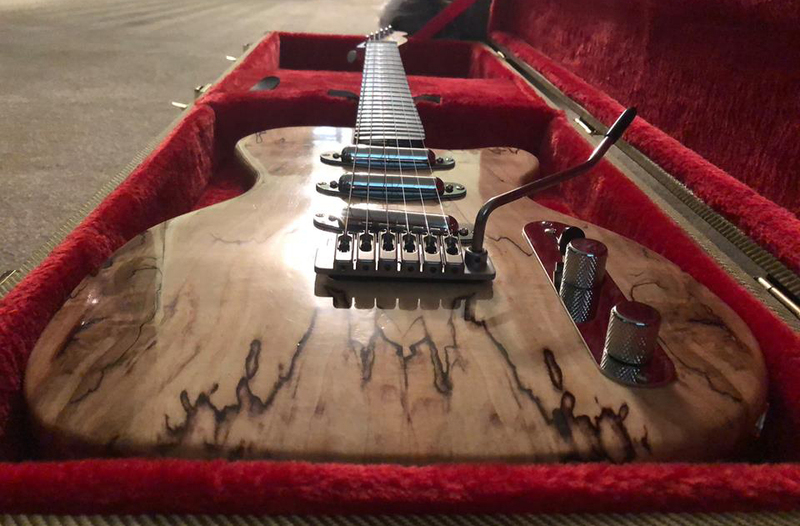 Eman Guitars – Page 3 – Handmade Guitars – Made to your spec. 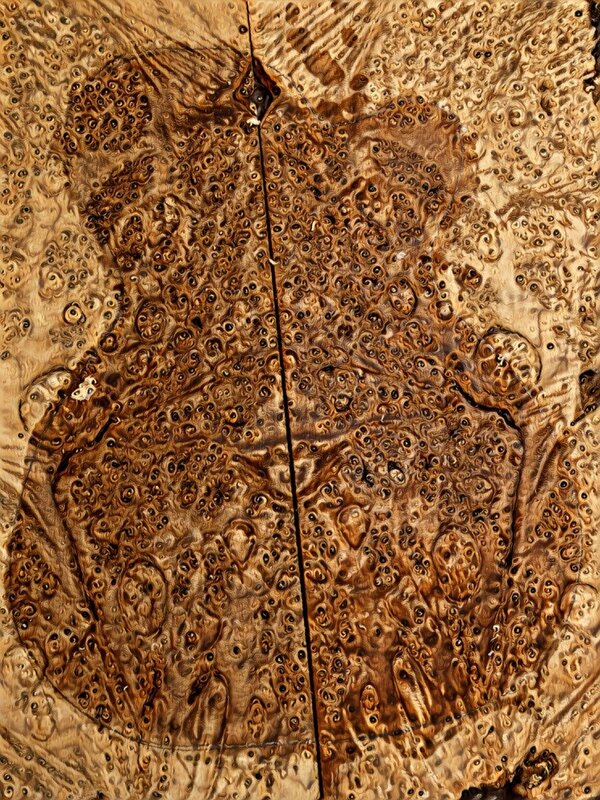 Cool Burl top for next project. There’s a filter on this pic but it’a going to look spectacular! So this is your opportunity to get yourself a cool(er) way of setting up your tremolo system. 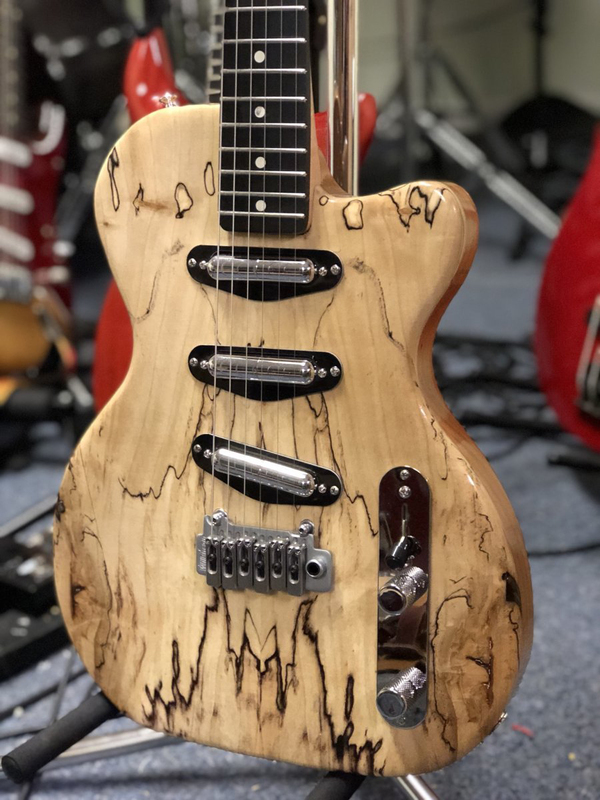 I’ve always thought the B5/B50 to be an ugly design stain on a guitar, like the only alternative as an afterthought on a flat or mildly arched guitar. 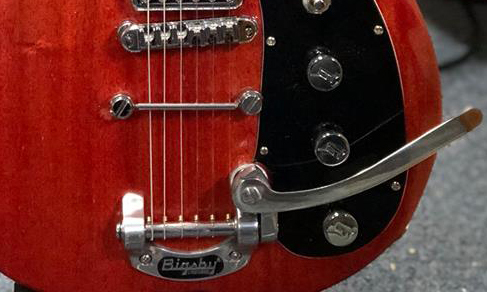 A chopped Bigsby B5. Shortened, screw hole drilled in the spring base and nicely polished. Inserts and studs to retain the Towner. ($10 off the total if your guitar already has a TOM style stop tailpiece). Variations on the theme are accepted, just PM me and ask. If you already have a B5/B50 you want chopped, I can do that for you. 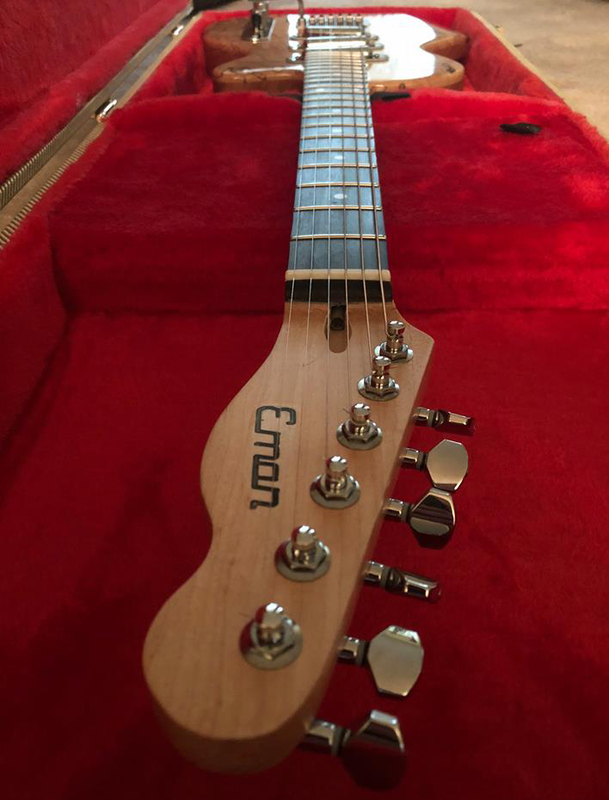 I’m excited to announce the new production model, the Eman Special custom guitar. There will be a range of options available, the base model as seen in these pics will run $950. 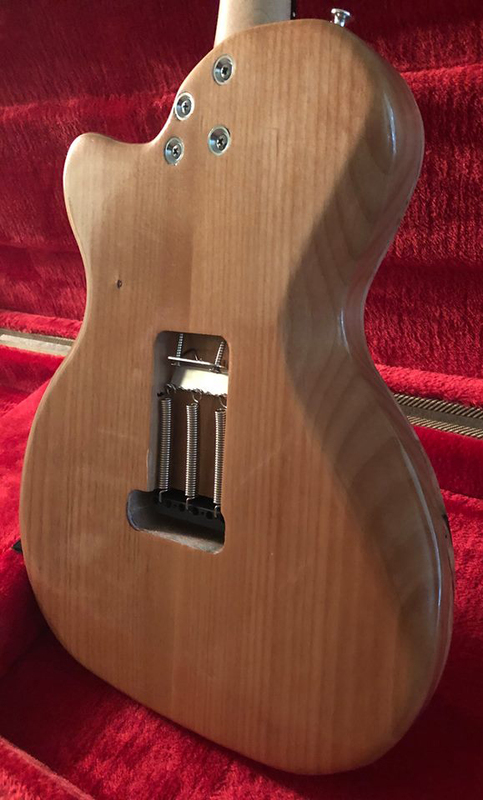 Contoured Alder body with spalt maple top (tops vary in markings- subject to availability). Lipstick pickups (these sound great). 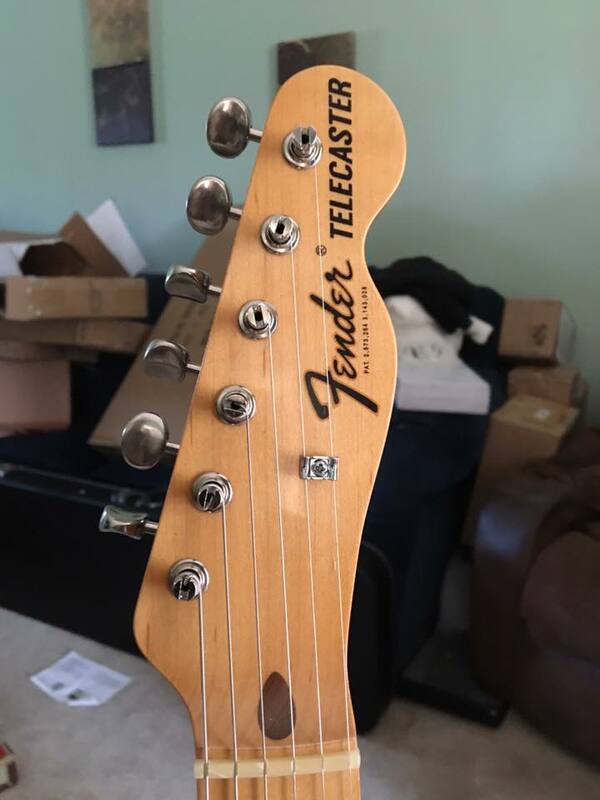 Tele-style plate with five way Strat style switching. Pickups of your choice +Price of pickups (Pickup choices not limited to Strat type, two humbuckers will work also). Solid color (body) + no charge. I will require a $250 nonrefundable deposit (just to protect me if you change your mind). It will take around three weeks from order to delivery. This is also dependent on the amount of orders being processed. If this time is going to be exceeded, it will be discussed beforehand. 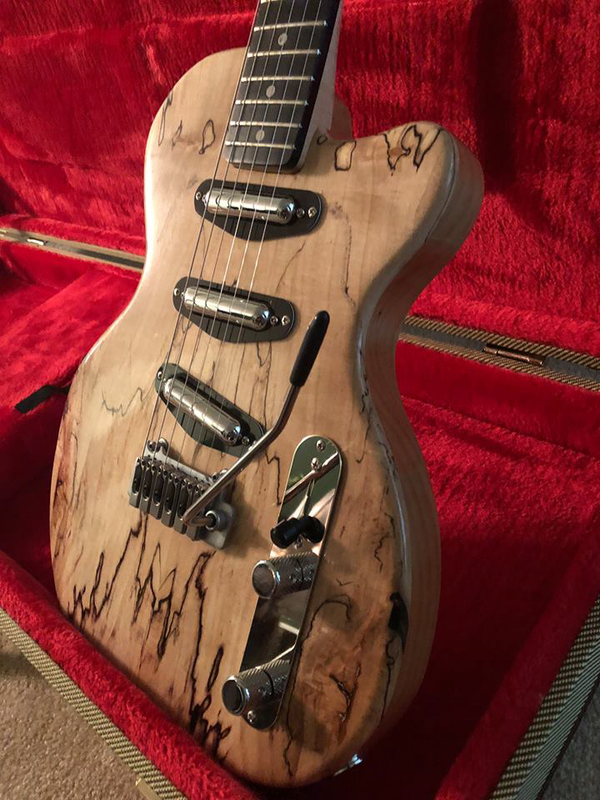 Handmade guitars are never going to be exactly alike. Options not listed here will be considered, anything you can think of is not out of the question, just get hold of me and ask! 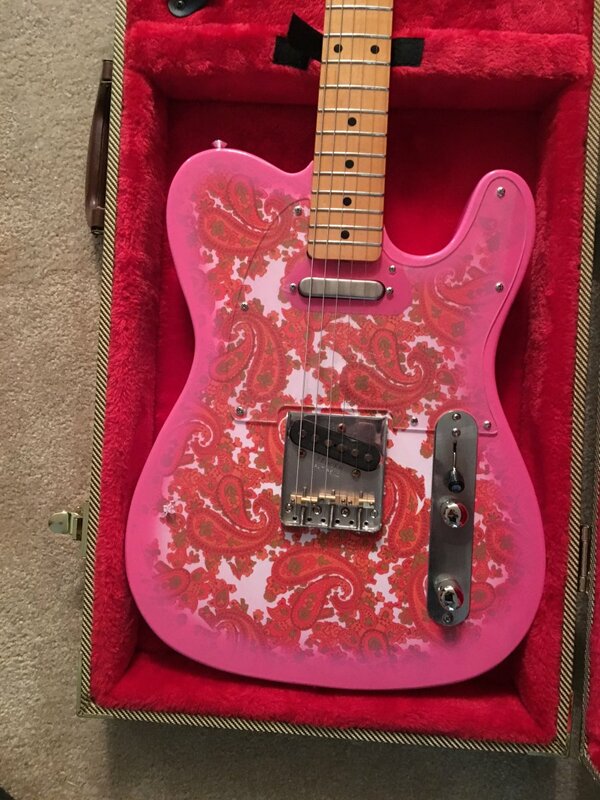 Pink Paisley replica light relic .SOLD! 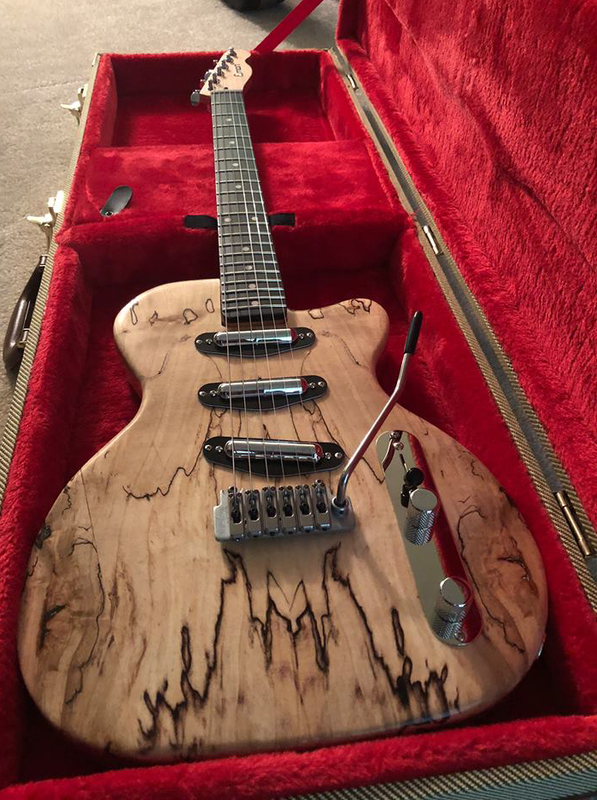 This was built using my same formula of all new parts, lightweight paulownia body, Fender licensed maple neck (7.25″ radius), Slick brand Fullerton pickups (they ROCK!) 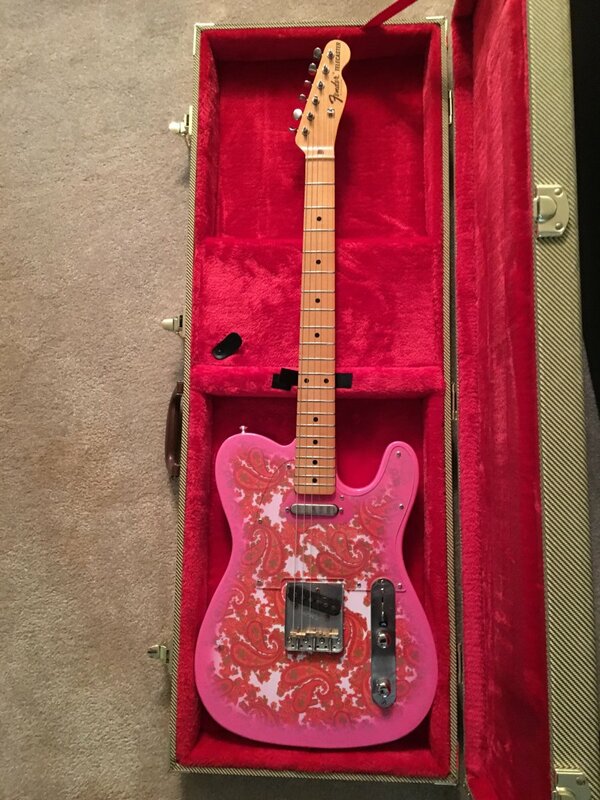 and all Fender hardware except the knobs. Quality American electrics. Guitar weight less than six pounds and just sings. Plays great also. 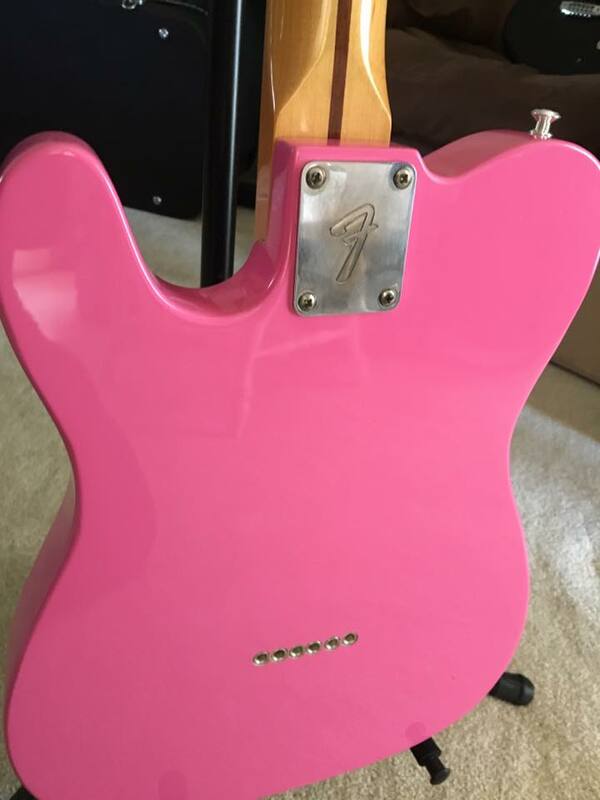 Note: NOT A FENDER! Decal added for authenticity, get your James Burton on or play “Nationwide” commercials, your choice! This guitar is now sold, contact me if you want something similar built! Contact me through this site! 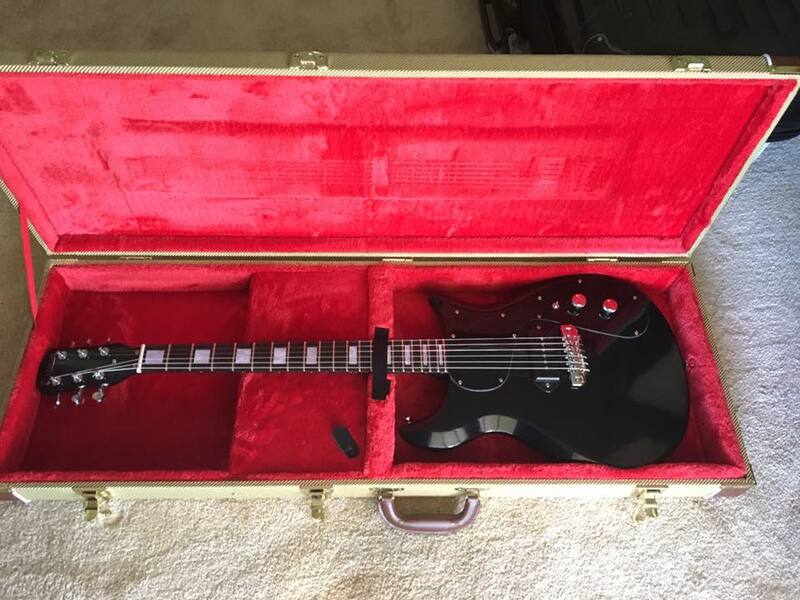 This is a full hollowbody 60s era Fender Coronado body that I adapted to take an 80s Fender Japan Stratocaster neck. Other parts are all new. The NYII pickups sound really good here, very vintage vibe. I didn’t refinish any of the woodwork to retain the mojo. This guitar plays really nicely. 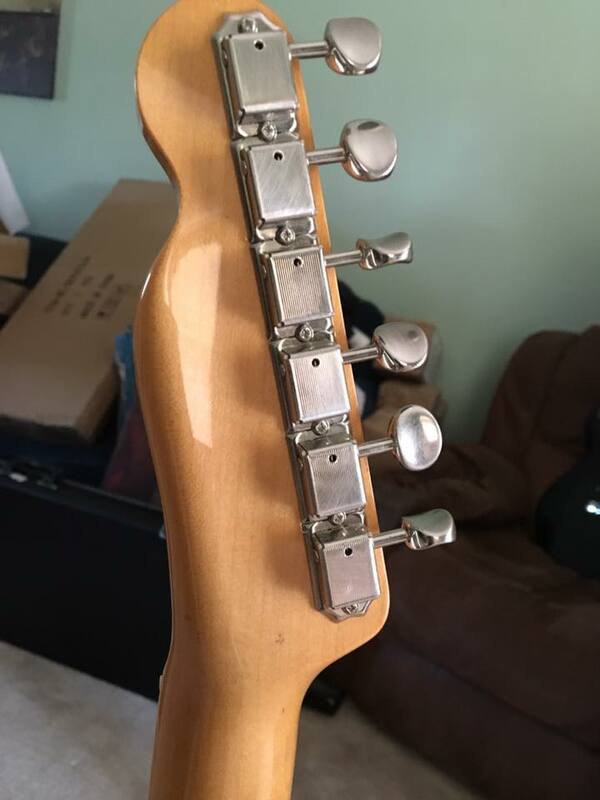 Someone sometime scratched off the “made in Japan” section of the headstock decal. Not sure why. I don’t have a case for this, so we might have to go the $100 UPS store packaging, but we can sort that out. 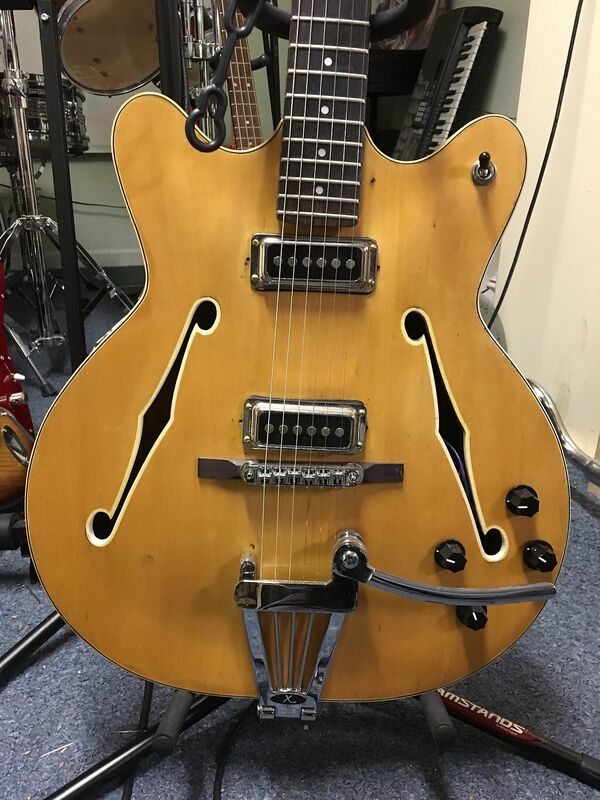 Genuine 60s Gretsch body made in Brooklyn NY and choc full o’ mojo. 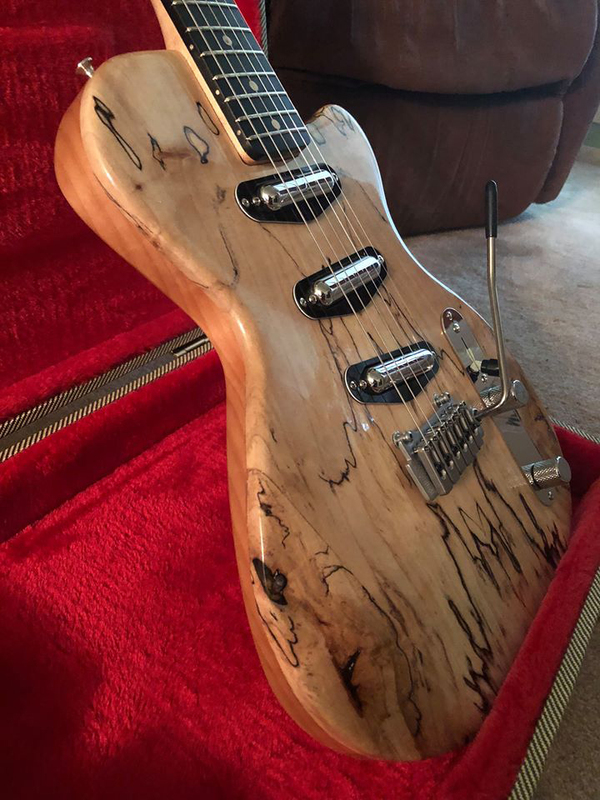 I added the neck as a project a couple of years ago. I recently refinished it in Nitro black. 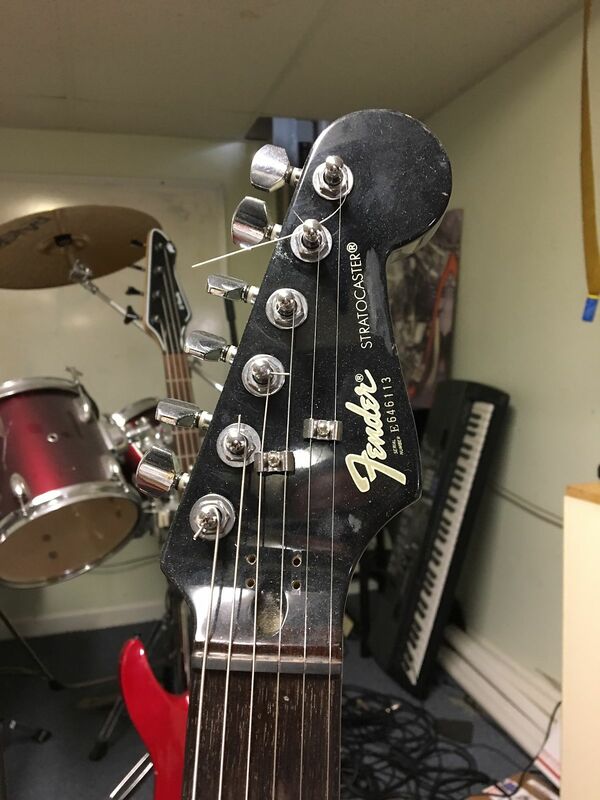 Finish is not perfect of course, but it all adds to the feeling of this great playing guitar. 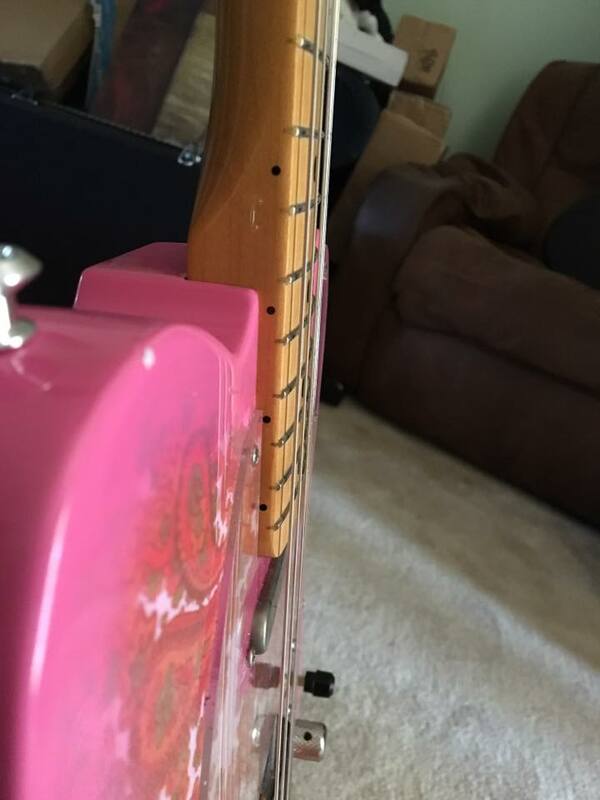 It’s light and well balanced and sounds great. 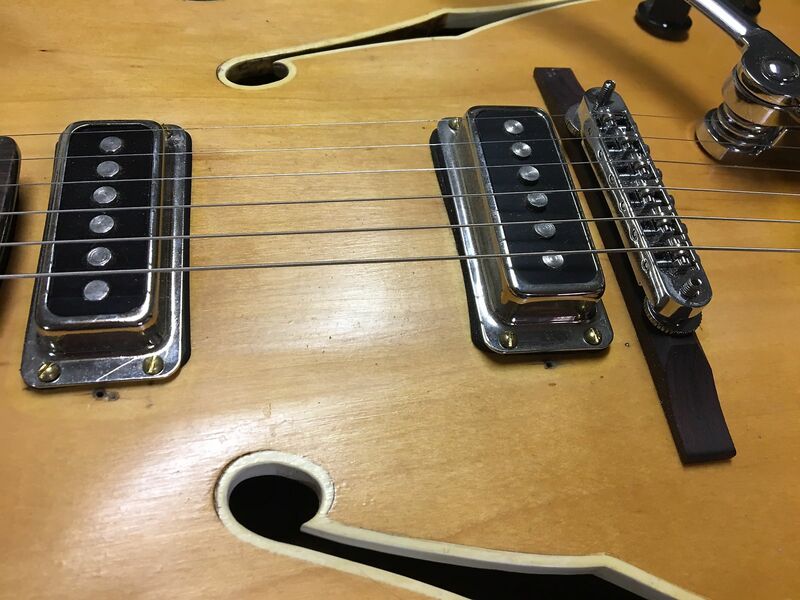 Pickup is a modified (because you can’t get them as a ‘dog ear’) Seymour Duncan P90 “Stack”. There is a three position switch with very different tones and responses. Switch towards the knobs gives you full humbucking almost Gibson PAF tones. Middle position is single coil for a P90 spank. Third is a parallel option which is even brighter than the single coil setting. 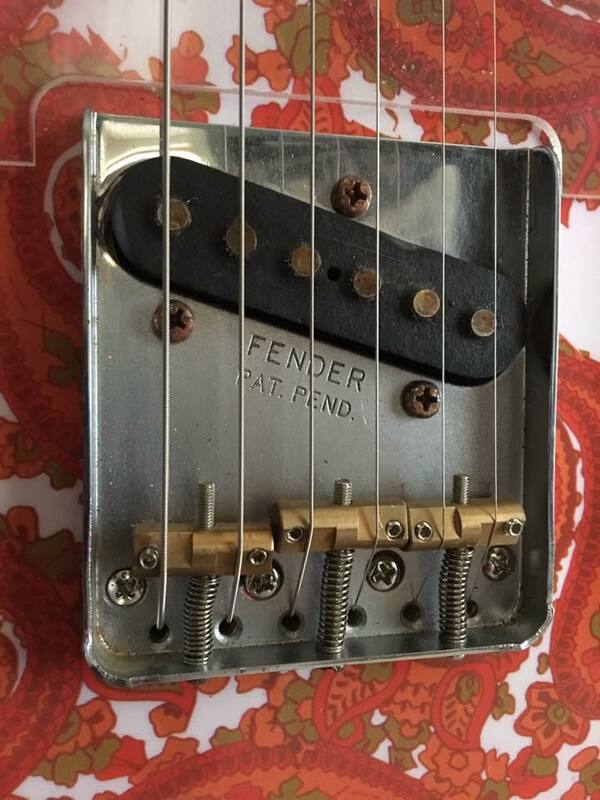 “No-Load” tone pot, meaning when it’s off, it’s bypassed for true tone. New Video featuring Eman Guitars!! All material Copyright 2017 David Gregory. All rights reserved. Do not use any material without express written permission.